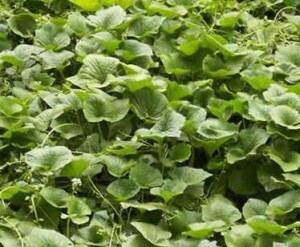 I have grown Wasabi for years now and rather than going over all the details I would direct you to my article that explains the how, what and why of growing the plant. I have a limited amount of 3.5 and 4 inch plants available. Shipping would be best in the late fall but these can always be picked up at my place. The price would be $9.95 ea. and shipping. Two plants could fit into a medium size flat rate box. Four could go into the larger flat rate box. I will give these two separate shipping options to choose from. After clicking the plants you desire, you will have to pick one of those two to add to your PayPal payment. If you are going to pick them up, please contact me and I will hold them for ten days. Hope to see you soon. The Google Map. If not picked up I will cancel the purchase and refund the purchase. If you live in WA, OR or CA. I can also send it by Regional A shipment. If that is the case I will refund the price difference. [wpepsc name="Wasabi japonica" price="9.95"]1 plant (Single purchase) $9.95 Sold out. One of these shipping options must be chosen before I can ship. All plants can be picked up at my place given notice. Hope to see you soon. The Google Map to my place.